It’s summer time and I thought it’d be fun to have a little giveaway! 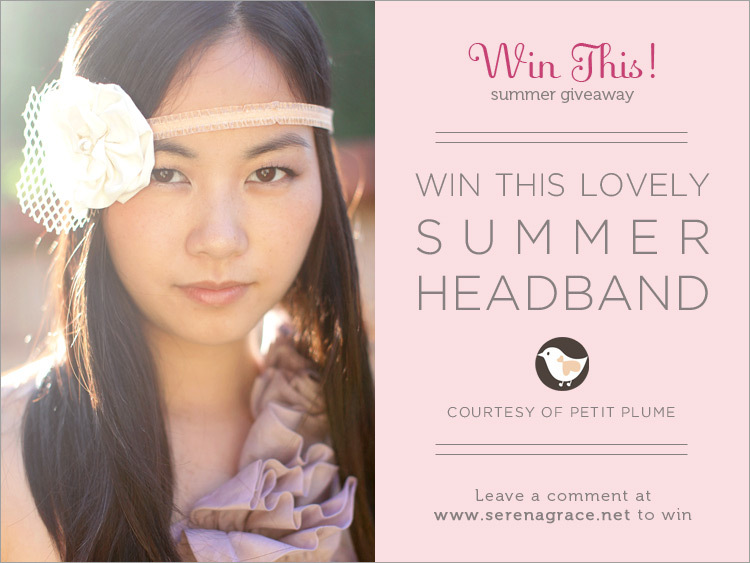 You can win this cute headband that was handmade and graciously donated by Genie of Petit Plume. Just leave a comment on this post telling us your favorite thing about summer. We’ll choose one winner at random and announce it here on the blog next Monday! Cute! I loved your shoot that went with it too. My favorite thing about summer is that I get to be home with family and relax. 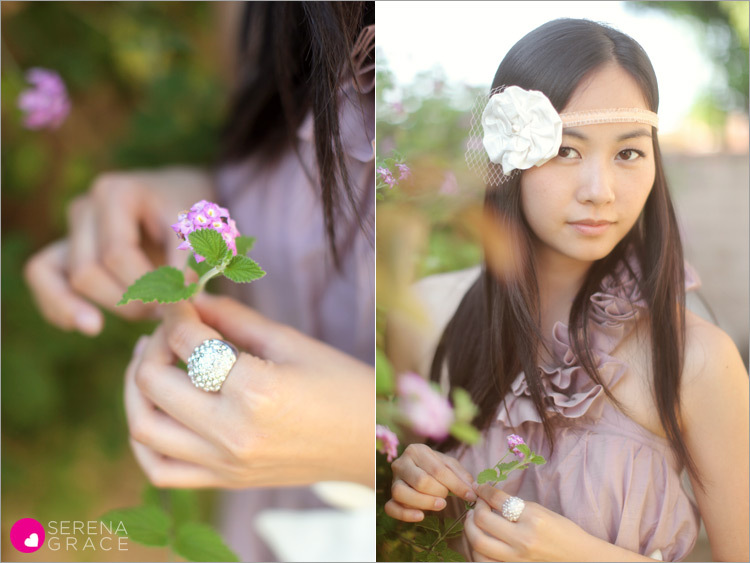 awww what a pretty headband and the photos are fantastic of course! my favorite thing about summer would be that i can wear dresses and sandals every day!! :) thanks for a chance to win!! So pretty! and my name's Summer! Perfect! ;) My favorite part of the season is the no-pool pool parties with my friends. We have a killer back yard for a pool party....but no pool! so we sit around and drink cold adult beverage and eat snacky foods and pretend. I love the photo shoot above! Cute dress! My favorite thing about summer is wearing summer dresses and eating frozen yogurt! cute headband! hot model! The best thing about summer is the beach and my favorite food: ribs!!! I love it! and i love you! and you and your sister are so cute!!! my favorite thing about summer is eating cold watermelon on a hot day and listening to the kids laughing in the yard next door! your petit plume shoot looked fabulous!